The latest reviewed version was checked on 1 December 2016. There are template/file changes awaiting review. 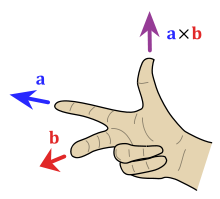 Vectors are quantities that are characterized by having both a numerical quantity (called the "magnitude" and denoted as |v|) and a direction. Velocity is an example of a vector; it describes the time rated change in position with a numerical quantity (meters per second) as well as indicating the direction of movement. 2.1 When are scalar and vector compositions essentially the same? This page was last edited on 1 December 2016, at 19:23.